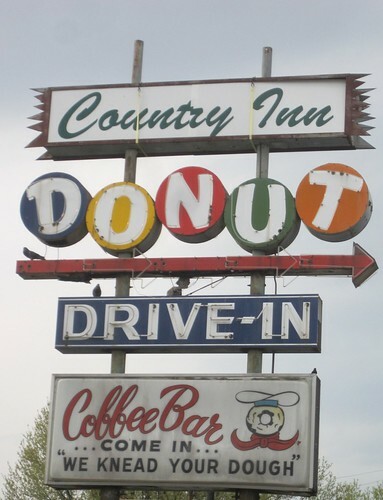 Those who love vintage neon signs, good donuts AND puns really love the Country Inn Donut Drive-In sign at 9426 Lewis and Clark Boulevard (just north of Jennings Station Road). This entry was posted in Neon, North County, Signs, St. Louis County. Bookmark the permalink.